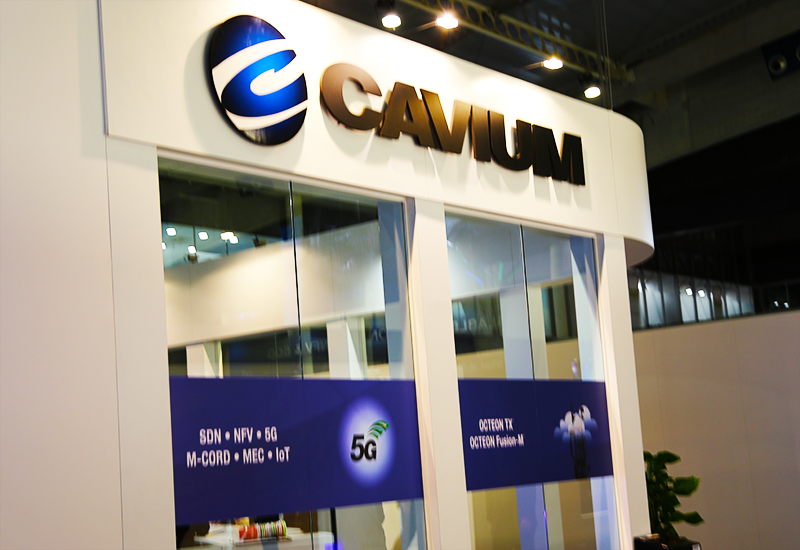 Cavium, a provider of semiconductor products designed to enable secure, intelligent packet processing, and Elenion Technologies, a developer of silicon photonics technology, announced an end-to-end reference architecture for use in enterprise and cloud data centres. Integrating Cavium's QLogic network interface cards (NICs) and XPliant-based switches, with Elenion's silicon photonics on-board optics, the direct fibre-to-the-server and parallel multi-channel on-board solution for switches is designed to provide increased bandwidth to the server, aggregation at 400 Gbit/s and beyond, lower power consumption and offer a path to achieving the target of less than $1 per Gbit. For the joint solution, Cavium is contributing its QLogic high performance, multi-protocol Ethernet adapters, which support 10/25/40/100 Gbit/s speeds, and the XPliant Ethernet switch family, providing a high throughput, programmable data centre switching solution. Cavium noted that platforms based on the XPliant Ethernet switches are able to leverage its programmatic control of table resources and pipeline logic to address the specific needs of the network architecture, while also providing a high degree of packet visibility and telemetry. Cavium and Elenion are displaying the reference design for fibre-to-the-server solutions during OFC 2017 in Los Angeles. A demonstration based on Elenion's next-generation photonics platform and packaging technology, combined with the Cavium solutions, showcases advanced on-board transceivers with light sources integrated onto the silicon photonics to enable a scalable, cost disruptive on-board solutions for NIC and switch applications within the data centre. Recently, Coriant introduced a short reach CFP2-ACO pluggable module for its Groove G30 Network Disaggregation Platform (NDP) that included silicon photonics technology from Elenion, The Groove short reach CFP2-ACO pluggable is designed to enable cost-optimised, power-efficient 200 Gbit/s connectivity for carrier transport and DCI applications.